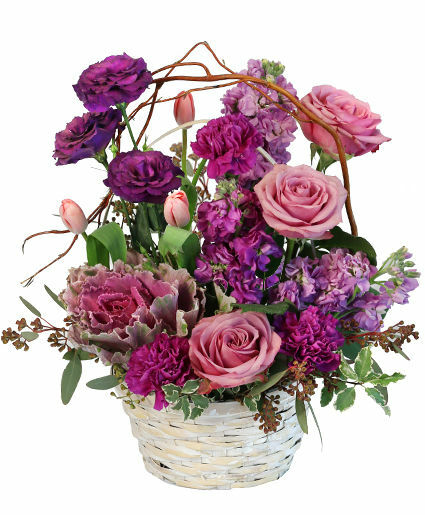 Purple Showers Basket Arrangement in Milton, FL - PURPLE TULIP FLORIST INC. 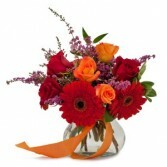 This is a stunning arrangement with red Gerbera Daisies and a mix of red and orange roses, with a delightful addition of Heather. 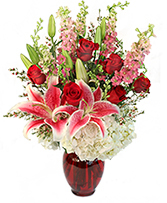 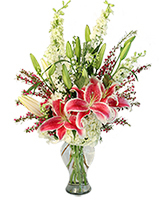 It is in a posy vase with a mix of fresh greenery.